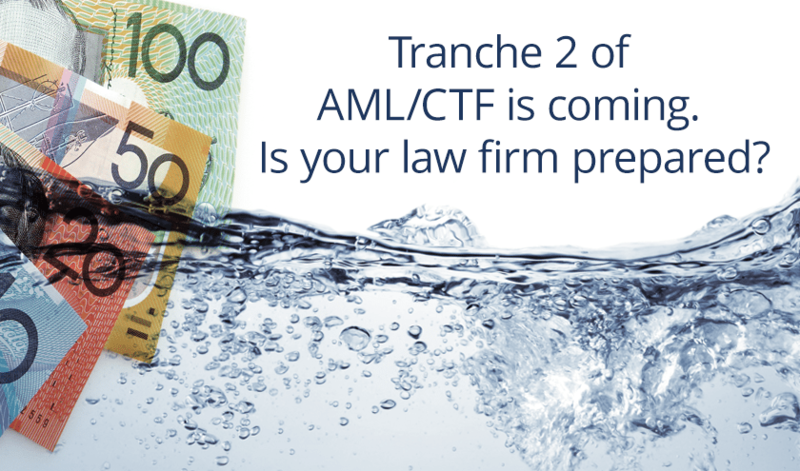 Law firms will most likely be included in the expansion of the AML/CTF Act to non-financial industries, commonly referred to as Tranche 2. With this announcement expected in 2018, it’s now time to start preparing our law firm for obligations that may likely fall under Tranche 2. You can start to prepare your law firm for Tranche 2 by understanding the key areas that will likely be regulated. It’s best practice to start planning now for AML and not leave discussions and decisions to the last minute. You’ll want to be comfortable with the key areas that fall under AML requirements, so your law firm will be on the front foot when the legislation commences. where to find resources and support. Make a start on understanding AML/CTF and the regulations that will most likely impact your firm now and be ready to face the obligations under Tranche 2.